War comics have always either sanitized conflict into banality or gone over the top in demonizing it. Rarely, the arena gives creators like Joe Kubert an excuse to explore characterization in the midst of excessive circumstance, but in this case the story is about people, not the nature of conflict itself. 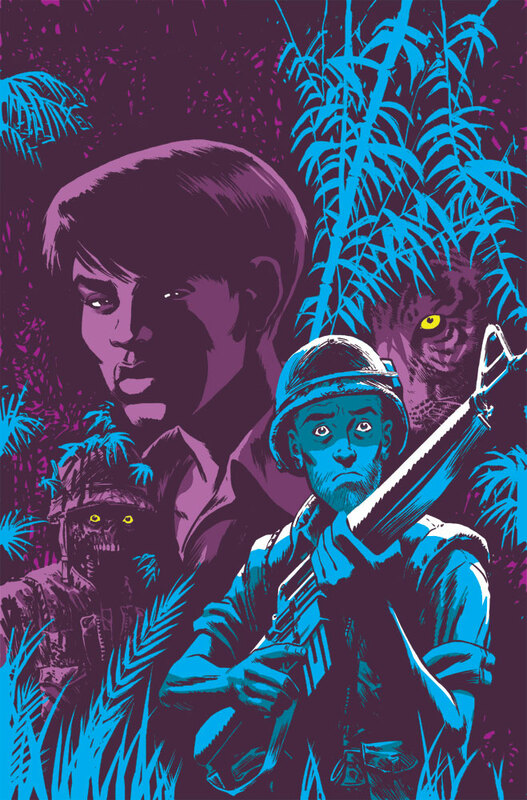 "The Other Side" succeeds in doing both, and in a more personal manner that eclipses Marvel's 1980s stab at the same subject, "The 'Nam." 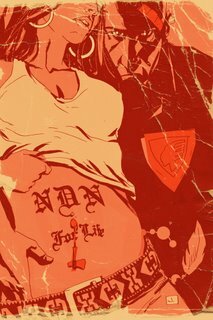 During his first week as a tribal cop, Dash Bad Horse soon realizes that life on The Rez ain’t all it’s cracked up to be. In fact, between busting cranked-up meth dealers, breaking up drunken bar brawls, and dealing with the tribal president’s promiscuous daughter, it’s turning out to be a real headache. And that’s just the beginning of his problems! 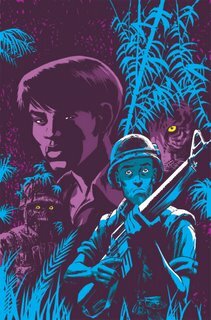 The critically acclaimed miniseries comes to its shocking finale, as PFC Everette and Vo Dai confront each other on the hellish battlefield of Khe Sanh. Whether the two men live or die is unclear, but one thing is for sure…neither will ever be the same again. Visions of mutilated dead soldiers appear to a young recruit in boot camp. Bombs rain down on Baghdad, setting loose its zoo's inhabitants. Or -- most chilling of all -- two hijacked passenger planes explode into their twin targets one fateful September morning, announcing a frightening new world order to a heretofore ignorant citizenry. 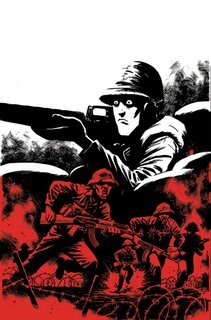 Each of these stunning visuals can be found on bookshelves and spinner racks this autumn, as graphic novels and comic books rediscover the power of war stories. "The 9/11 Report: A Graphic Adaptation" (published by Hill and Wang) led the pack in September, translating the bipartisan 9/11 Commission's text into 128 illustrated pages. Soon thereafter, Vertigo Comics released two powerful works: "Pride of Baghdad" is a gorgeous graphic novel that traces the fate of four lions in Iraq's capital after a U.S. bombing raid frees them from their cages; and "The Other Side," a five-issue monthly miniseries (the second issue comes out Nov. 1), takes an unconventional look at another controversial conflict, the Vietnam War. "Other Side" artist Cameron Stewart says about this resurgent theme: "We are living in a time of war, so it could definitely be a zeitgeist thing." Brian K. Vaughan says: "This book isn't trying to be important, it just is. One of the very best comics Vertigo has published since PREACHER. Highest possible recommendation."